Mitt Romney's defeat in the 2012 presidential election has been met by many Republicans as a challenge. If they hope to regain the White House, the party must address important issues for America's rapidly growing Hispanic population. That is particularly true when it comes to immigration matters, where Romney staked positions in a grueling GOP primary that made it virtually impossible for him to attract Hispanic voters in the general election. Fortunately for Republicans, many Hispanics are inclined to support them because of their pro-family and work-ethic values. One needs to look no further than President George W. Bush as an example. President Bush provided tremendous leadership on immigration, and the results were predictable. He received 43 percent of the Hispanic vote in 2004, compared to Romney's 27 percent just eight years later. During that same time period, the Hispanic vote grew to 15 percent of the total vote nationally. Even worse for Republicans last year, Romney received only 10 percent of the Hispanic vote in key battleground states like Colorado. A casual observer can readily determine that the failure of the Republican Party to deal responsibly with the immigration issue, particularly in Texas where the majority of the state under the age of 18 is already Hispanic-American, could result in key Republican states regularly voting Democratic. In the aftermath of Romney's loss, GOP senior leadership has responded favorably. House Speaker John Boehner has announced the U.S. House will consider immigration reform, and he has the support of Romney's running mate, U.S. Rep. Paul Ryan. Meanwhile, U.S. Sen. Marco Rubio outlined comprehensive immigration reform that is similar to what President Bush supported when he was in office. And Boehner, joined by Republican Senators Lindsay Graham, John McCain, Jeff Flake and Rubio and four Democratic Senate colleagues, put forth a reasonable bipartisan immigration reform plan. No state in the union has more need for immigration reform than Texas. We have the longest border with Mexico, we have a culture steeped with rich Hispanic heritage, and we have one of the largest undocumented populations - estimated as high as 2 million, including 450,000 in the Houston region. For the most part, a large majority of these individuals have lived here for one or more decades with children, spouses and other family members who are legal U.S. citizens. As Romney said during the final stage of the presidential campaign, we can't deport all of these people. We need a sensible solution. Now is the time for our state's two U.S. senators to play a pivotal role, along with our Texas congressional delegation, and particularly U.S. Rep. Ted Poe, vice chairman of the Immigration and Border Security Subcommittee of the House Judiciary Committee. By and large, however, the leadership mantle has been abdicated to senators and congressmen from other states, while the Texas Republican leaders fall back on the old cliché that they can do nothing until the border is secured. Ironically, our border is more secure today than at any time in American history and we are at the lowest levels of illegal entry since Richard Nixon was president. More significant, President Bush recognized that a big part of border enforcement is a viable temporary worker program and a secure Social Security card. President Bush recognized that if 99.9 percent of the people attempting to cross our southern border are coming here for a better life - for job opportunities or to join a close family member - it would be far more effective and humane to route them into a viable temporary worker program. Our political leadership often says we want people to enter legally, yet oppose any immigration reform that would create a viable temporary worker program. Further, neither President Barack Obama's nor the senators' proposals call for instant or even a direct path to U.S. citizenship. Instead, they both endorse a concept that President Bush supported, that is, a temporary work-authorized status subject to criminal background checks and which would be renewable over a period of years. 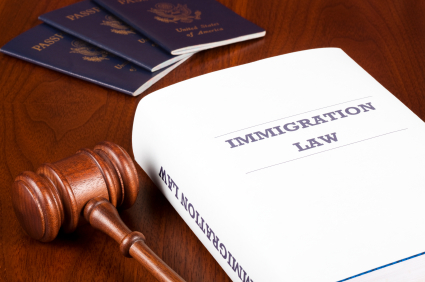 Only after immigrant visa applicants waiting for a visa number in the so-called "line," where it can take from eight to 10 years to qualify, can those individuals with temporary status apply for Permanent Residence, or so-called "green card," status. Under the most favorable provision, some of those individuals may five years later eventually apply for U.S. citizenship. Immigration reform opponents complain that the 1986 legalization program signed by President Ronald Reagan was a failure because it provided Lawful Permanent Residency to almost 3 million applicants, but failed to stop the rising tide of unauthorized entries. As a result, any future legislation would suffer the same fate. But this ignores the huge increase in border enforcement that did not exist in 1986 and the fact that Congress itself failed in 1986 to upgrade the Social Security card, which is the de facto document needed to show that one is authorized to work in this country. Any new immigration legislation should correct these problems. In short, no issue coming before this Congress will have a greater impact on Texas. It is critical that our Republican delegation in Texas join their Democratic colleagues to provide real leadership in crafting a good immigration bill rather than staying on the sideline or using clichés to oppose any meaningful reform.